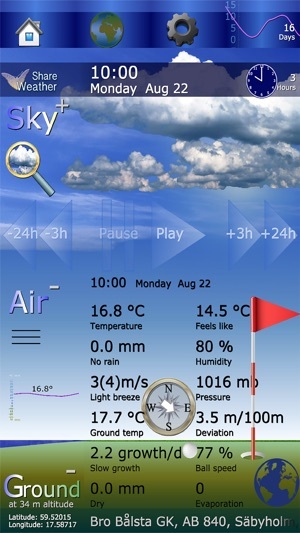 Weather for golf enthusiasts, professionals including green-keepers. 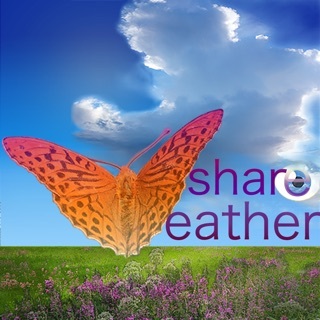 ShareWeather predicts the local weather conditions on your golf course and the actual appearance of the sky and nature, 16 days ahead. 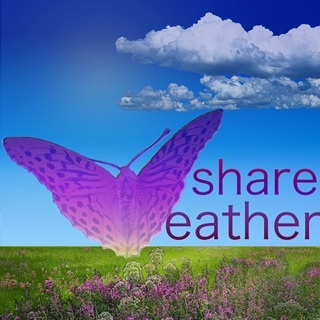 While weathermen talk of what is happening in the air, ShareWeather will also calculate and explain the direct effects on your golfing. 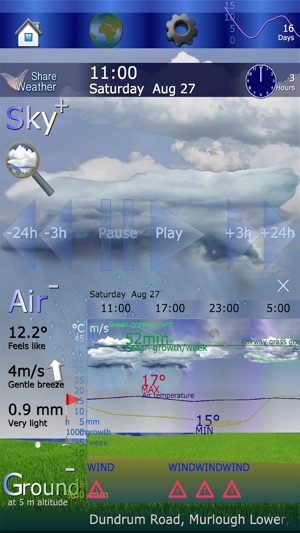 The complexity of weather is simplified with smart graphics and animations giving great support for both golfers and green-keepers. 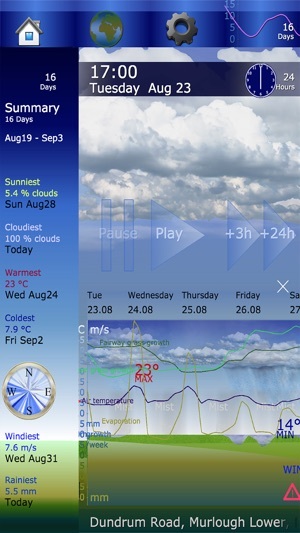 The 16 day weather forecast is based on research and professional knowledge. With sophisticated methods merging forecasting models, own calculations, and experience on how weather effects golfing, ShareWeather predicts what matters to you: boll rolling speed, deviation due to wind conditions, grass growth on green and fairway, surface type, humidity, besides the more common weather variables. 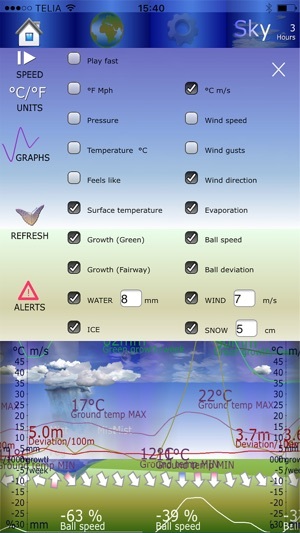 You can also improve your own weather forecast by submitting additional input on current conditions. 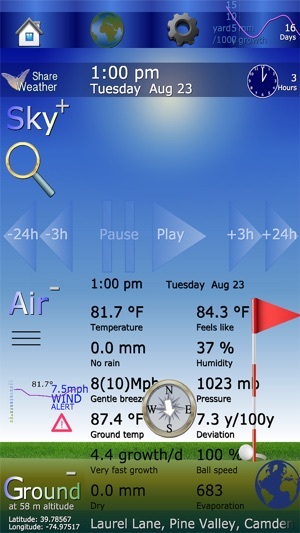 ShareWeather condenses complex weather information to not only a beautiful picture of the sky, air, and the golf course, but some unique and useful information. You will easily be able to study what to expect from the weather conditions and their effects on your golfing, and enjoy yourself, too! 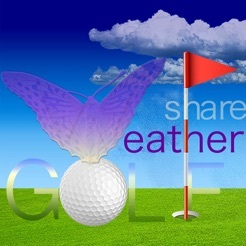 The design presented in this version of ShareWeather GOLF Pro will offer a completely new user experience. 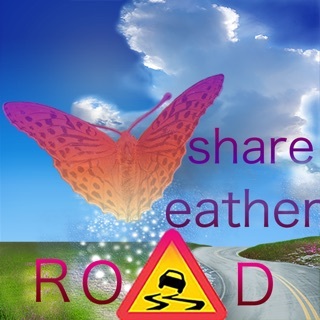 Welcome to the new ShareWeather interface and meet the new ShareWeather look! In particular, we focused on developing entirely new animations that work smoothly on all new devices and also function well on old ones. Our unique feature the "ball rolling speed" (calculated speed on green based on a large set of variables such as evaporation, grass growth, humidity, etc) is now even more accurate and beautifully animated. The offline experience and functionality is also improved. Some fixing is also made on our backend weather forecasting system resulting in improved data and weather forecasts.